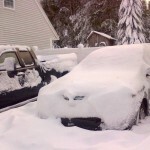 This is a little embarrassing, but for the second time in three years the New England Motor Press Association’s Winter Vehicle Test Day had to be postponed on account of, well, winter. Around the holidays every year car manufacturers begin to send NEMPA everything they’ve got with all-wheel drive and heated steering wheels. Those vehicles get put through their paces a week at a time by media members; then on a Saturday in February we gather at the Automotion garage for a day of eating, talking, dashing out in twos and threes to drive one car or another, eating, arguing and eating. And finally casting preliminary ballots. 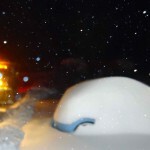 In 2011 we had to postpone this because too much winter fell from the sky the night before. Automotive News, AutoWeek and other publications showed us no mercy. 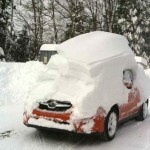 The word “wuss” was never used, but there was a clear undertone of Hey-we-thought-you-Yankees-could-drive-in-the-snow. And now it’s happened again. What’s worse, two days before Winter Storm Nemo blew in (when did snowstorms get names? ), a stern memo was sent to the membership: Postponement would not happen again. It was suggested the big trophy simply go to whomever made it to the garage on the 9th, but since members live all over New England the handicapping isn’t quite equal. And then our spoilsport governors declared the roads closed anyway. 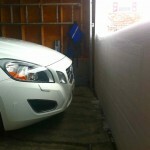 For close to 48 hours most NEMPA members couldn’t get out of their driveways, much less to the garage in Middleborough. Let’s keep our fingers crossed for next Saturday. Friday night in New Hampshire. Saturday in Maine, left: a NEMPA member’s Lexus GS. 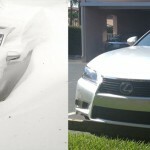 Saturday in Naples, Florida, right: another NEMPA member’s Lexus GS. Chrysler 300 ‘Glacier’ edition—now we get it! A fortunate Volvo on the inside looking out. There were no paths for this Nissan to find. 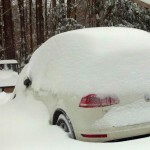 A VW Touareg diesel slumbers through the storm. 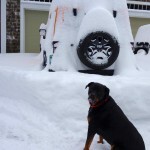 The Rottweiler wants to play. The Wrangler does too. Sunday morning on the coast of Maine. Southern NE got hammered too. 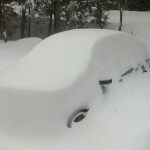 A Subaru emerges in Connecticut. 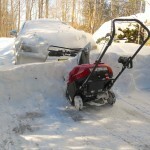 One Response to Too much winter – Again! Woohoo!!! Let the Winter Games begin this coming Saturday!!! You guys are gonna have one terrific snowball fight. Love all the images.